COMPTON, Calif. -- Authorities arrested a mother on suspicion of abandoning her newborn baby girl who was found buried alive in a hole near a Compton riverbed. The baby, which was less than two days old at the time, was found on Nov. 27 beneath asphalt and debris in a hole along a bike path that followed a creek. 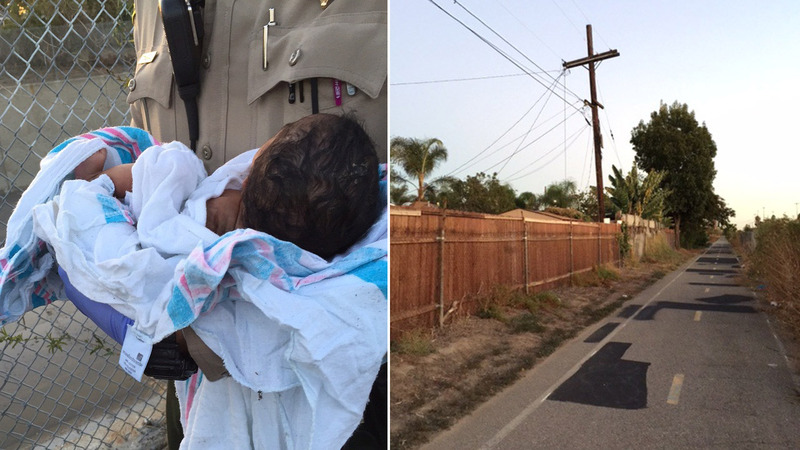 Two women walking along the bike path heard a baby crying and called the Los Angeles County Sheriff's Department to investigate. Once deputies arrived, they heard the child's muffled wails and found her. Authorities believe the baby was born inside a medical facility before she was buried and said the person responsible for the crime faces attempted murder and child endangerment charges. The identity of the mother, status of the child and what led to the woman's arrest will be discussed at a press conference Monday, authorities said. The Los Angeles County Sheriff's Department urges anyone who may be in a difficult situation with a child to surrender them at any hospital or fire station in the county, no questions asked. For information call (877) 222-9723 or visit babysafela.org.